The indie film festival caps off it’s third annual awards night with a fresh list of winners. 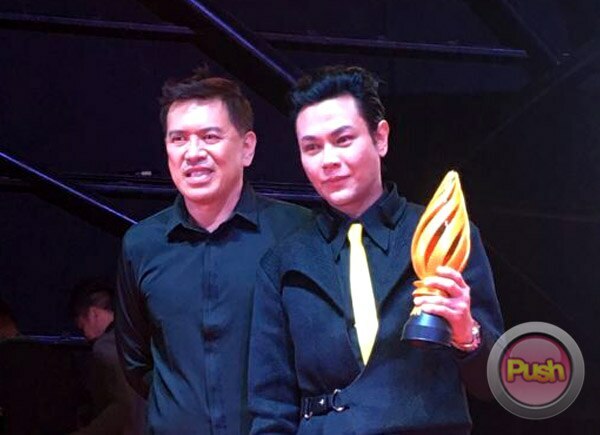 As the star of Joel Lamangan’s first Sinag Maynila entry "Bhoy Intsik," Raymond "RS" Francisco admitted he never imagined winning his first acting award in the local indie film festival. 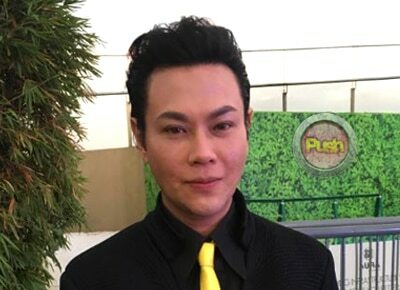 Both he and "Kristo" star Kristoffer King won for Best Actor. “When we were doing this wala pa ang Sinag Maynila, what we were looking at were the film festivals abroad. Yun ang pinag-iisipan namin. Pumasok yung Sinag Maynila nung nag-po-post prod na kami. But just like any other actor in any production of course we strive to be recognized and to be the best. Everyone including the other four competing films wants to be recognized and validated and all so that is already a given. Pero ang pinakasasaad ko lang sa akin is sana marami pang makanuod. For me that’s more than taking home a trophy. Kung madaming makanuod, madaming maka-appreciate okay na sa akin yun,” he shared during the Sinag Maynila Gabi ng Parangal held last March 12 at SM Aura Premier in Taguig City. In "Bhoy Intsik," RS shared the screen with Coco Martin’s younger brother Ronwaldo Martin, as they play two small-time felons who are engaged in an illegal business. 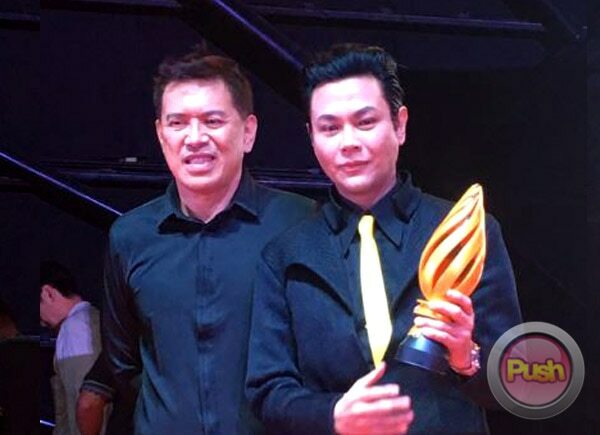 Sinag Maynila marks not just RS’s first acting award but his first major role in a movie as well. “I’ve done movies but I just do support. But this is my first lead role. I’ve worked with direk Joel Lamangan sa mga teleseryes when I guest, but this is the first time to work together in a movie. People should watch it because it’s easily relatable. It’s an LGBT film but it’s a different take on the LGBT. It’s a roller coaster ride of emotions. Sa movie matatawa ka, malulungkot ka, matutuwa ka, maiinis ka, mabibitin ka, magugulat ka, kakabahan ka, ma-re-relax ka. Madadala ka talaga sa movie,” he stated. During his acceptance speech, a very emotional RS went up on stage and asked for clarification if there really was no mistake about his name being called as a winner. “Thank you to everyone who helped me in my career. I just want to check the results. Kasi mahirap na mag-thank you ng mag-thank you tapos hindi pala (laughs). So thank you very much to team 'Bhoy Intsik.' Direk Joel Lamangan, thank you very much. It’s my first time na makakuha ng award. I’ve been acting since I was six years old. This is the first time I’m validated as an actor.Thank you for everybody and congratulations to Kristoffer King I saw 'Kristo' and he’s really, really very good,” he added. Best Film - "Tu Pug Imatuy"
SM People’s Choice Film - "Beyond the Block"
Sinag Maynila Box Office Award - "Bhoy Intsik"
Best Documentary Film - "Hango" by Avelino Balmes Jr.